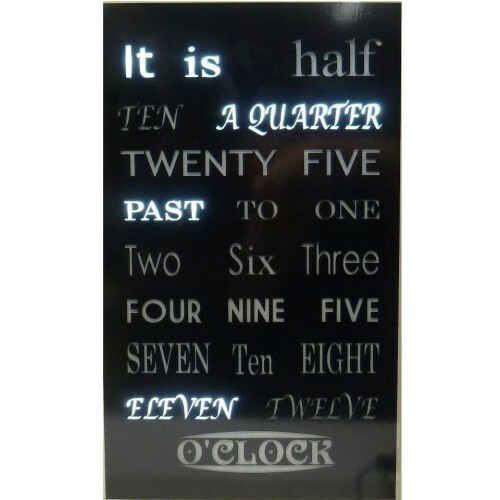 This s a unique clock which is based on a series of poster memes that are prevalent on the Internets, where there are lots of interesting fonts. 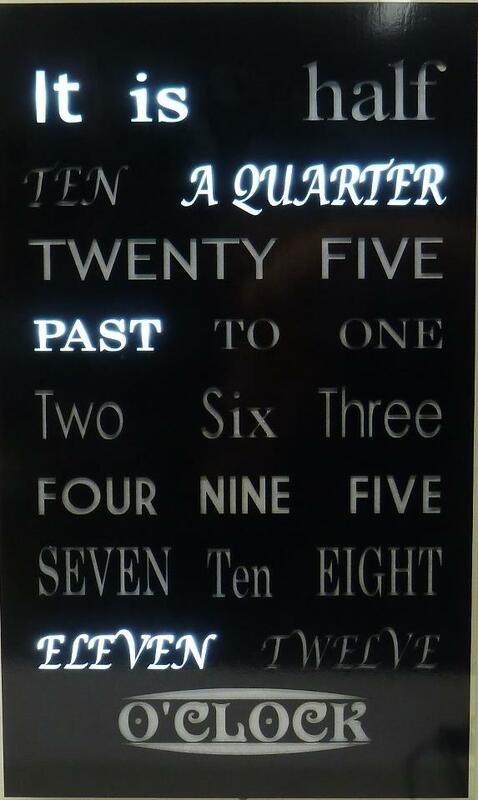 This clock uses a range of different type face styles to provide an amazing visual impact. 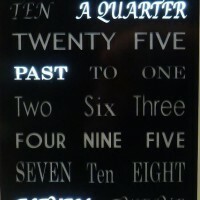 Of course, if your would like a single typeface, just let me know and I will design that face for you. It is 50cm Tall and 30cm Wide. 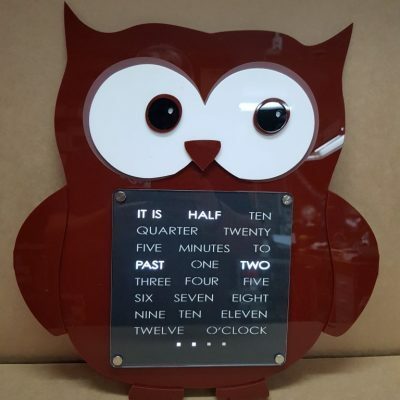 It is important to remember that these beautiful custom made clocks take quite a while to construct, allowing time for adhesives to cure properly and for other jobs – It is not uncommon for there to be a 8 – 12 week wait, but it will be amazingly beautiful. 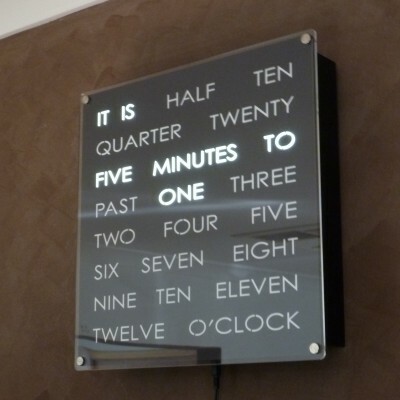 This clock makes a statement wherever it is placed! 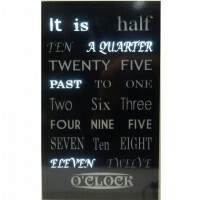 The color for the Clock Face - Creative Faces are the wonderful new style of face with the Acrylic covering the face. They are the default choice. 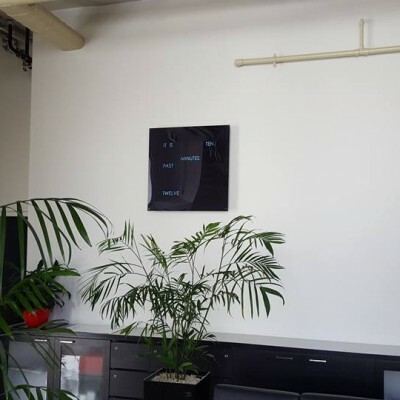 As with all of my clocks they can be powered from behind the wall by installing the power so that it is routed through the wall cavity, providing the illusion of a clock floating in space – And they all look amazing.